Learn how to make Aloe Vera juice at home and enjoy the powerful health benefits of this nutrient-rich juice! When you discover the benefits of Aloe Vera juice you quickly realize that this natural juice is one of the healthiest additions you can make to your diet. The rewards are excellent and include body health improvements, a greater sense of well-being and increased energy. Although there are more than 300 species of Aloe only 4 or 5 have healing properties. The most powerful one is Aloe Barbadensis Miller, also known as Aloe Vera or “True Aloe”. If you have an Aloe Vera plant at home, cut one of the leaves that are closer to the ground (they are more mature and have more ingredients). As a rule of thumb for choosing which leaf to cut keep in mind that as soon as the tips of the leaves begin drying it means that the juice they contain is maximally useful. After cutting the leaf you should not keep it in the light for a long time otherwise it will lose its healing properties. After washing the leaf thoroughly with plenty of water, cut the piece you want to use. To make 1 liter of juice (33.8 oz) cut a piece of 10-15 cm (4-6 in). You could even use all the gel from one leaf to make approximately 2 to 3 liters (67-101 oz) of juice. Using a sharp knife remove the thorny edges of the leaf, then rinse the leaf again with cold water. Starting from the outside of the leaf and working inwards we have the thick green outer rind, the sap (latex) and finally the central core or the gel, also known as “fillet gel”. For home use the crust is only good for composting. The yellow sap (also called aloin) should be discarded since it is an irritant to humans and toxic to house pets. It is used as an ingredient in laxatives, and can cause diarrhea and other problems if taken internally. Remove the outer peel from both sides of the leaf by placing the back side of the knife on the inner side of the leaf, 1 to 2 millimeters from the outer skin, and pulling in the opposite direction. Alternatively you can remove the gel from the leaf using a spoon. If carefully separated from the rest of the leaf the central gel will be aloin-free. The inner gel is the most important part of the plant for domestic pharmaceutical use and the one we will be using to make Aloe Vera juice. Place the Aloe Vera gel in a blender and mix it well until it becomes smooth. To make 1 glass of juice mix 2 tablespoons (30 ml / 1 oz) of Aloe Vera gel in a glass of water (250ml). 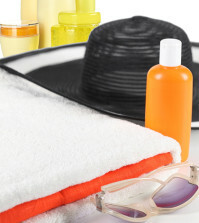 Transfer the remaining Aloe Vera gel to a bottle and place it in the refrigerator. Every day you can add the recommended dose (30ml/1 oz) in a glass of water or juice and make another drink. You can also apply Aloe Vera gel on the skin to heal wounds, cuts, burns, bites and abrasions. It is advisable however to use Aloe Vera gel within a short period of time in order not lose its beneficial properties. It is recommended to drink the juice of Aloe Vera in the morning and especially after using the bathroom so that your body can absorb more of its beneficial nutrients. 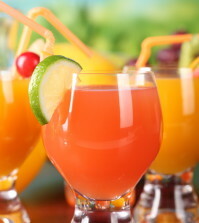 If you choose to drink it in the evening have the juice at least 3 hours before bedtime. You should always drink Aloe Vera juice 20 minutes before meals in order to give your stomach enough time to break it down into simple organic elements such as vitamins, minerals and trace elements. Never give children Aloe Vera juice in the evening because the energy supplied will prevent them from falling asleep! The daily dosage depends on the extent of your problem and the overall health of your body. The recommended daily dose in most cases is 60-120 ml (2-4 oz) per day. Aloe Vera juice is a natural substance, not medicine, therefore it needs time to produce noticeable results. 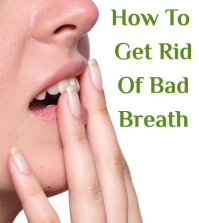 Usually the first results appear in 3-6 weeks depending on your body. In smokers, people with unhealthy diet or some specific health problems it can take up to 12 months to see results. Give your body time to adjust. Aloe Vera juice is considered safe when ingested in recommended dosage by healthy individuals. Aloe Vera should not be taken orally by individuals who have undergone organ transplantation, by women during pregnancy and lactation and by individuals with stomach aches, ileus or a history of allergy to garlic, onion and other plants of this family. Aloe Vera juice can interact with hydrocortisone, diuretics, anticoagulants and diabetes medication. Aloe Vera juice can improve the functioning of the pancreas leading to adjustment of insulin dosage. Ingestion of Aloe Vera latex is likely unsafe, especially in large doses, in patients with kidney disease, heart disease, or electrolyte abnormalities, due to theoretical risk of low blood potassium levels. 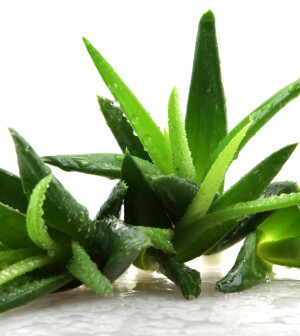 Due to its laxative effect, Aloe Vera juice can reduce calcium levels in the blood and cause arrhythmia. The use of Aloe Vera juice under no circumstances shall replace medication. I love aloe vera juice so much!. Been drinking this since the last few years now. Knowing the benefits of drinking aloe juice feom this site made me plant more aloes in my backyard! LOL. THANKS A LOT,. This information is very useful to people me like. The reason being that, i seriousely would like to start my own natural body product for sale. And aloe vera juice is going to be one of my ingrediants thus why i came here and am soo glad i did thanks a lot.it been soo helpful to me.